State Treasurer Dale Folwell said he is awaiting guidance from lawyers before deciding whether to challenge an N.C. Court of Appeals ruling that allows four former school superintendents to collect an additional $1.7 million in retirement benefits from alleged pension spiking. 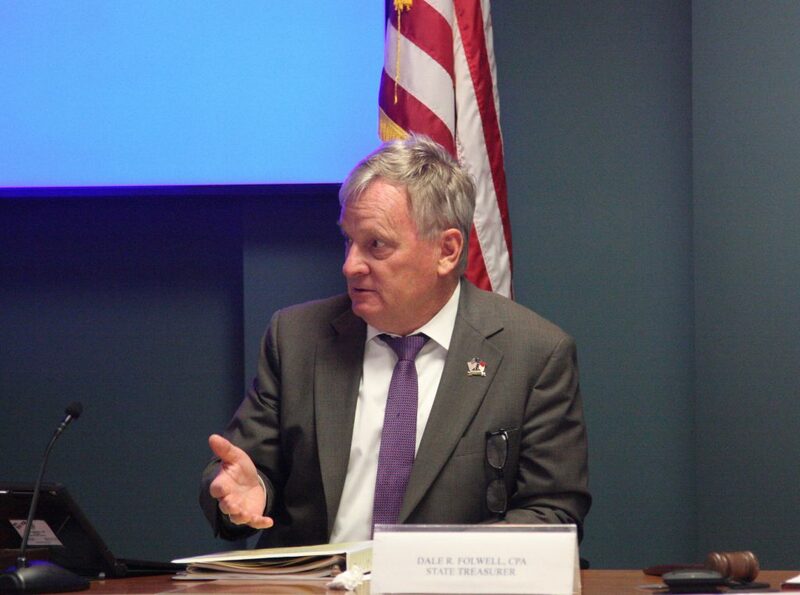 “I’ve not spoken to the attorney general, the solicitor general, or my general counsel,” Folwell told Carolina Journal Tuesday, Sept. 18, the same day a three-judge panel issued the opinion. “My approach as the keeper of the purse is to tell the truth, do the right thing, and let the chips fall where they may,” Folwell said. Appealing the appellate court ruling is one of his available chips. The legal wrangling centers around the Treasurer’s Office demand for four school systems to pay $1.7 million in additional retirement benefits. The state argued the school systems hadn’t contributed enough money to the Teachers’ and State Employees’ Retirement System to cover the extra payouts resulting from last-minute salary increases on which benefits are calculated. $208,000, Barry Shepherd, Cabarrus County. $435,000, Herman Croom, Johnston County. $512,000, Mary Ellis, Union County. $583,000, Marty Hemric, Wilkes County. “As disappointed as I am, I’m saddened that what we have is situations where people are able to gross up their pensions on the backs of all the other participants in the plan,” Folwell said. He emphasized that the problem isn’t widespread and generally involves school and county administrators or officials with connections to those in power. The three-judge panel issued separate opinions in all of the cases. But it used the more-detailed Cabarrus County ruling as the controlling decision. In response to pension spiking cases around the state, in 2014 the General Assembly passed House Bill 1195. It established a cap for retirement system members limiting the amount of pension benefits administrators could get. The school systems challenged the cap, saying it hadn’t gone through the state’s Administrative Procedures Act. The state argued the legislation didn’t need to go through the APA, as the State Health Plan, also supervised by the Treasurer’s Office, is exempt from rulemaking. Durham County Superior Court Judge James Hardin ruled for the school systems in 2017, and the state appealed. The Court of Appeals upheld Hardin’s ruling. Folwell tried to fix the problem by submitting a proposed rule addressing the pension cap earlier this year. It was approved by the state Office of Administrative Hearings in March and the state Rules Review Commission in April, opening a 31-day period during which the rule could be challenged. The General Assembly adjourned its short session 30 days after Folwell submitted his rule — one day before it automatically would have taken effect. The N.C. School Boards Association found 10 people to challenge the rule. So the General Assembly must directly enact the rule. Folwell thinks lawmakers may do that in November when they return.